This afternoon, I put on a Caroline Hirons YouTube video in the background while I was tidying up the bedroom (rock and roll!). And as I was folding up my husband’s trousers which is obviously too complicated a task, she mentioned her friend who has become the editor of NEW BEAUTY MAGAZINE. I stopped said folding, rewound the video 20 seconds to check I wasn’t hearing things and there it was again: NEW BEAUTY MAGAZINE. 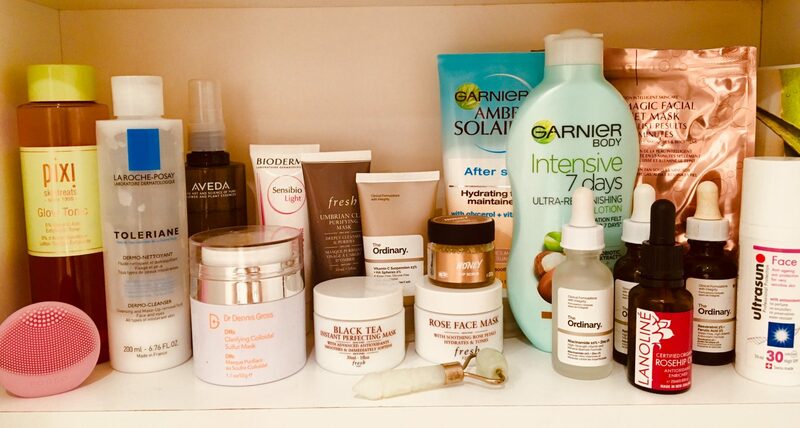 Of course Caroline Hirons, my saving skincare grace, would point me in the right direction. I then also realised, that a friend had suggested the exact same magazine via Amazon. So I am surrounded by guardian beauty angels. https://www.newbeauty.com/ is the website, and so far I like what I’m seeing. The magazine itself only comes out 4 times a year and a one-year subscription is $80. So it’s no Elle magazine subscription that’s for sure. Being in the UK, I also need to wait 6-8 weeks for the issue. However you can purchase a digital subscription which is by way of the Apple app store- it costs £3.99 for a one-year subscription or £4.99 to buy one issue… that’s really a no-brainer. The website is divided into: haircare, skincare, makeup, spa+health, cosmetic treatments, find a doctor, and test tube. Test tube is where you can sign up for a price to receive samples. Every month you receive 8 or more beauty products worth $150 but you pay only $29.95. Seeing as I’m not in the USA, this isn’t something I’ll be signing up to but it’s an interesting concept (like a luxury Birchbox). For those who are looking for less of the fashion & lifestyle- this might be right up your street!